Last Word is a race to have the final say! Each round, blurt out answers while racing a timer and the other players. Friends and families will enjoy this game of quick wit as you race against the clock yelling your way to victory. Brush up on your subjects and word play to keep sharp and head to the finish line where you get the Last Word. 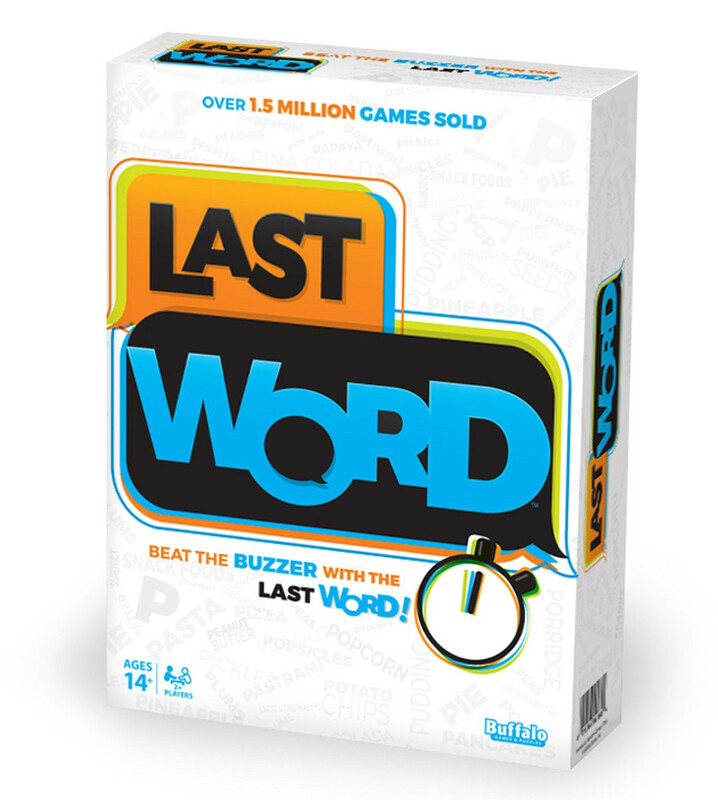 The player with the Last Word before the timer sounds advances toward the finish. Recommended for 2 to 8 players, ages 14+.